It’s only been a few months since electric-scooter startup Grin merged its business with Brazil-based Ride. Now, the company has partnered with Yellow, a bike-share startup based in Brazil which has stepped its foot into the electric scooter business. 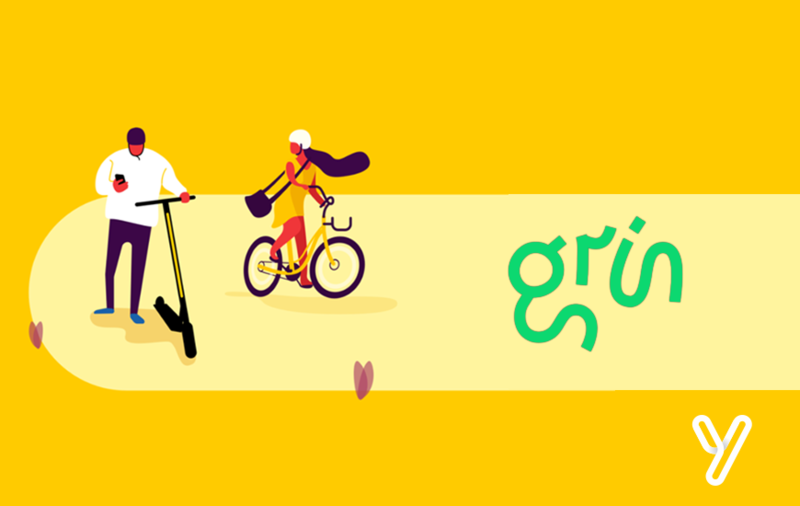 Grin and Yellow are rebranding as Grow Mobility as a part of the partnership, however initially, both the apps will maintain their individuality as respective brands. Grow Mobility currently operates more than 135,000 vehicles in around six countries and plans to further expand their business across Latin America in the next few months. Yellow raised $63 million in a funding round led by GGV Capital in September which was also the largest Series A funding elevated by Latin American startup. Shortly after Yellow’s investment round, Grin also raised $45 million in Series A funding. Besides Ride and Yellow, Grin has also previously partnered with Columbia-based on-demand delivery startup Rappi. 2018 has definitely been the year of electric-scooters with giants like Uber and Lyft entering into this domain, making it clear that e-scooters are here for the long run. The number of cities in the U.S. where e-scooters are currently being deployed has increased from 33 to more than 90. The numbers are expected to increase in the coming time. Bird, currently valued at $2 billion, is the first e-scooter company in the world, having first deployed in September 2017 in Santa Monica, California. After a year, Bird announced that it has hit a milestone of 10 million rides in more than 100 cities. Spin, which started as a bike-share startup, was the second to join in the electric-scooter war, eventually deciding that it will go all in on scooters. Next in the line was Lime, which also initially started as a bike-share company. Currently Lime has deployed its scooters in over 100 cities in the U.S. and 27 international cities. The industry got into more serious business when Uber partnered with Lime and Ford acquisition of Spin. Skip, founded by Sanjay Dastoor, was a bit of a latecomer. Launched in March, deployed its scooters in Washington, D.C., Portland, Ore., and San Francisco, and won its permit to operate in the heart of Silicon Valley.